Taiwan has been a foodie haven for me. But aside from all the delicious food, I’m glad to find a comfortable, secure, and English-friendly base like Meander Hostel. 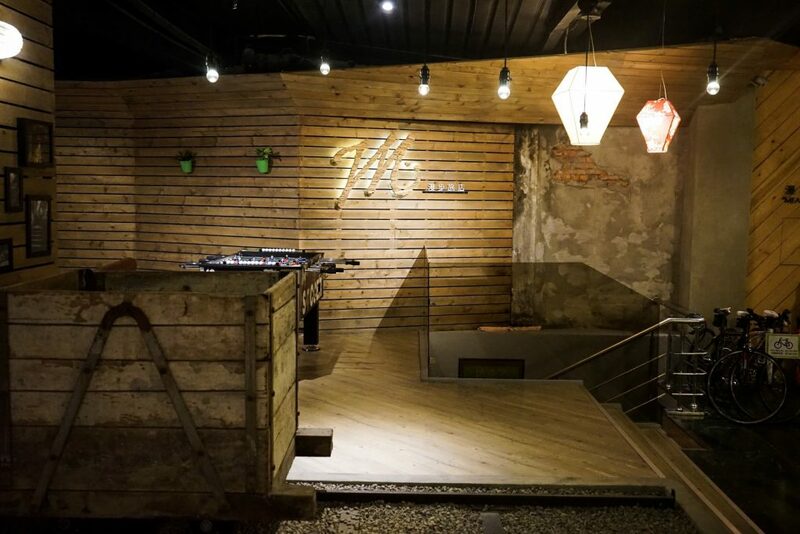 Meander Taipei Hostel is a two-star hotel sitting in the east corner of Chengdu Road, Wanhua District, Taipei. 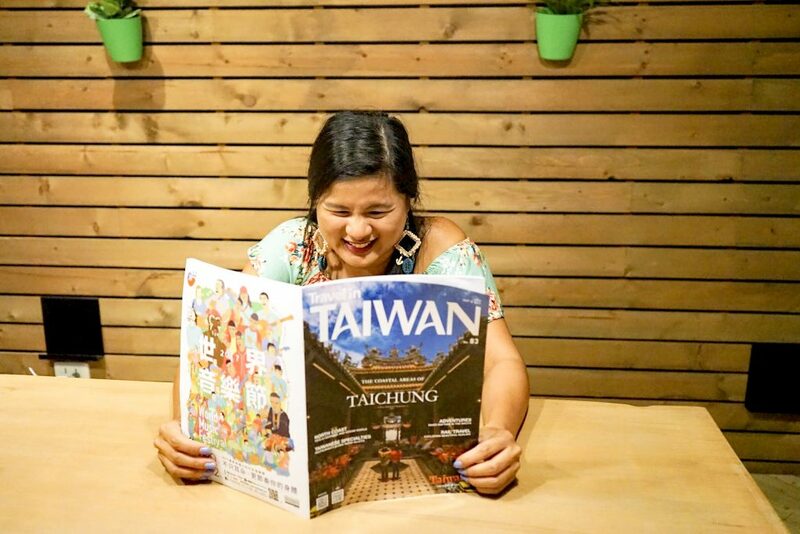 The first thing I love about the Meander Hostel is that its location is convenient to Taipei Songshan Airport, Longshan Riverside Park, Taipei Cinema Park, Xiamen station, convenience stores, shopping centers and restaurants. Just across the street is a famous hot pot restaurant which I really loved too. Loved it so much we ate here twice. There were lots of restaurants around it, It was easy to step out to get food if we found ourselves hungry. Which, given my appetite, almost always. It was easy to get to the green line or blue line from here. It wasn’t a problem for us even if we got back late. (Read also Must Eat in Raohe Street Night Market). Right when I entered the humble hostel, I got accommodated by friendly staff immediately. The staff gave me a tour around the hostel. The staff was so friendly during my whole stay there. That’s the way a hostel should be, it felt very homey. On our last day, there was miscommunication with one of the tour operators. We couldn’t seem to get through due to language barrier but the staff of Meander Hostel quickly helped us and arranged everything. They saved the day. It was amazing. And despite the slightly “stressful” situation, they maintained their composure and a big smile. I immediately knew that when I come back to Taiwan ( which I will), I will definitely stay here again. I loved the interior design of the hostel. It has modern wood and concrete interior design. It uses natural lighting coming through their glass doors and floor-to-ceiling windows by the entrance and at the back door. I also noticed their colorful hanging lantern lights in the lobby. I liked it a lot. Wish I could have one at home but it definitely created a good ambiance. They have foosball in the common area. This was definitely a conversation starter, at least for me it was. But I enjoyed playing food. Other things to entertain guests in the common area are TV with cable channels, and dart board. Displayed beside the wall map are bikes available for guests to rent. Other shared facilities include a laundry area, vending machine, computer area, and kitchen. 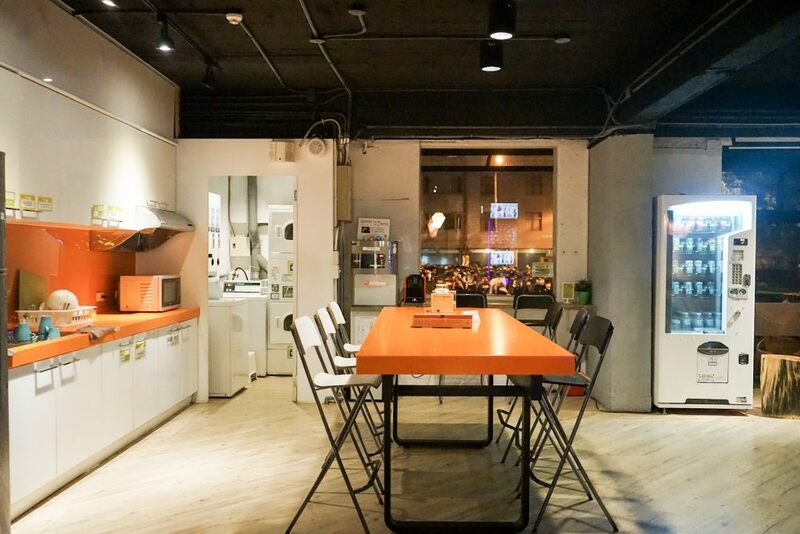 If you stay in Meander Hostel, you get to have an access to the kitchen with lively orange countertops. They also provide a toaster, microwave and water dispenser. This is also a perfect spot to start a conversation. Every morning, they serve sliced bread, bread roll, sweet spreads and fresh fruits. Instant coffee and tea are also available. I tried the different flavors they provided. I enjoyed that. 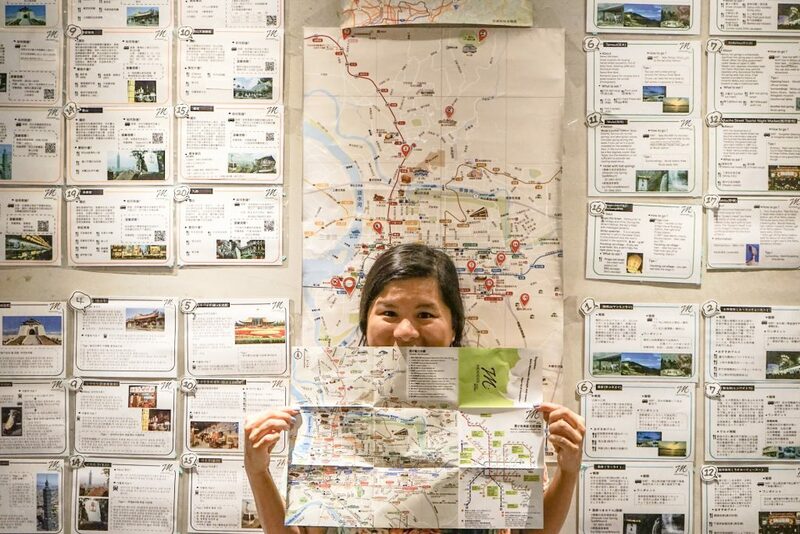 Meander hostel helps their guests to get the most of their stay in their Taipei by organizing activities and guided tours. These may include drinking and picnic, free haircut, catching the sunset at Elephant Mountain, yoga and walking tour at Ximen or Longshan Temple. You may visit their Facebook page in order for you to know the updates. Through their organized activities and a spacious common area, Meander Hostel allows a lot of social interaction which I always enjoy. I like talking to people and meeting friendly people. I’ve made good friends from staying in hostels. . The activities and the vibe of the common area helped loosen up cold shoulders. One night, a group just decided to go to Shi Lin NIght market together, see, that’s instant companion. 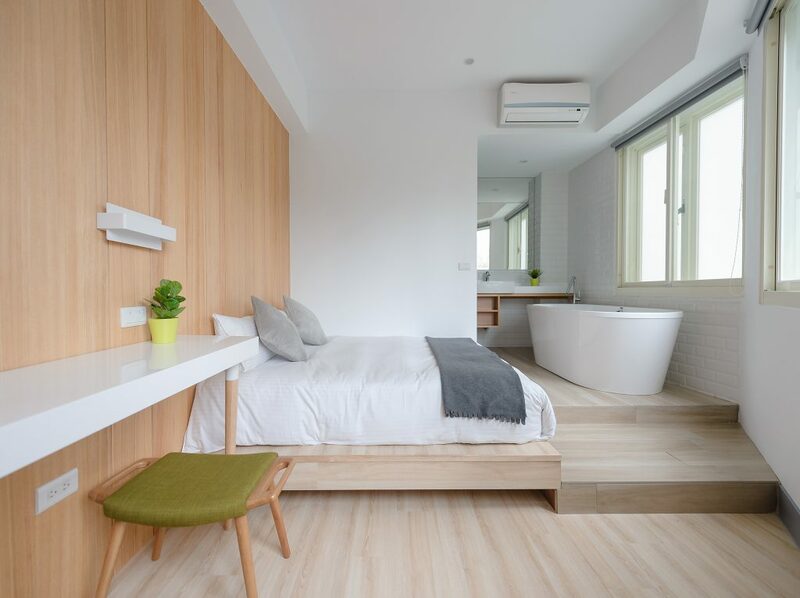 Even the rooms of the Meander hostel with modern wood and white concrete walls looked clean and spacious. The rate for shared rooms may cost around NT$700 (P 445.04) per night. You’ll have your personal locker, luggage storage, and own electrical outlet by your bed. Shared toilet rooms are always kept clean too. During my stay in their hostel, I slept in the private room. My private room has a double bed and TV. and my own bathroom. The rate for a private room may start at around NT$ 1880 (P 1,195.25). One night, we even stayed in a big room with a good view. We really enjoyed it. Often, people think hostels are for the young budget backpackers but here, we saw families and even older people. Their private rooms are really comfortable. A friend, who stayed in the dorm rooms also said that it was a good hostel to be at. This one’s a cliche. Although the hostel gives you comfortable and secure lodging, they encourage you to go outside and explore Taiwan. Aside from the walking tours, the staff is also kind enough to share their best bet in Taiwan. 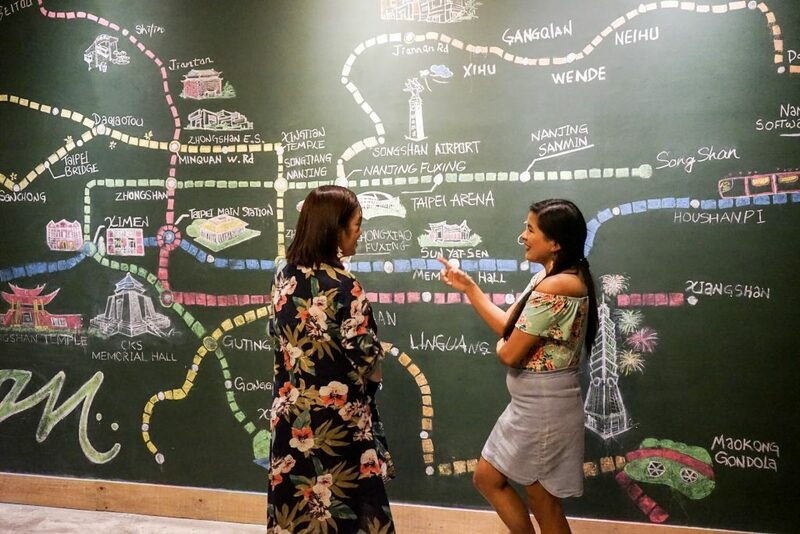 I love their blackboard with a map which tells you the location of the popular sites you need to go to and how to get there by train. I also love a section in the common area where the must-visit sites are listed. It completely laid out important insights about the must-visit sites and how you can get there. The lists are written in different languages as well. Even better, they created their own map to serve as a guide for their visitors. And all the locations and tourist attractions are marked with directions relative to the hostel, smart, isn’t it? The hostel definitely looks very clean and comfortable. Given that the staff are accommodating and it has a convenient location, it would definitely be my preference over any fancy hotel. Very balanced review!